To improve the attractiveness and accessibility of the Divis and Black Mountain, Belfast as a location for outdoor recreation. To allow the National Trust (site owners) to increase visitor numbers and in turn realise the tourism, social, health and educational benefits the site has to offer. 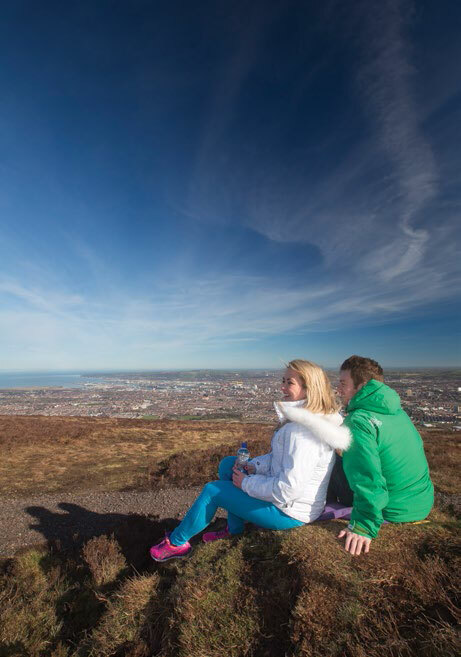 “Over recent years we have been working with Outdoor Recreation NI to develop a trail system within our Divis and the Black Mountain property in Belfast. Our aim was to increase the Trust’s profile and drive up visitor numbers to the property. The trails have done exactly that”.